Bestselling author Daniel Pinkwater's story of how Neddie, a shaman, a ghost, three pals, and a maneuver known as the French substitution determine the fate of the world. Melvin the Shaman. Sandor Eucalyptus. Billy the Phantom Bellboy. 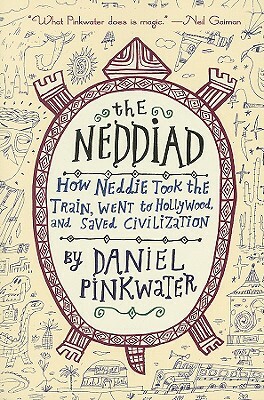 Daniel Pinkwater's weird and wonderful tale of Neddie Wentworthstein's quest to save civilization features some of the most unique heroes and villains a reader could hope to meet. Despite the heavy responsibility that Neddie must carry (not every kid is charged with rescuing humankind from doom), his story is hilarious, warm, welcoming, and sweet. Daniel Pinkwater lives with his wife, the illustrator and novelist Jill Pinkwater, and several dogs and cats in a very old farmhouse in New York’s Hudson River Valley.